Release by Lauren Fisher for Jennifer Wood Media, Inc.
Holiday Festival II this week on December 16-18, 2014, at the Palm Beach International Equestrian Center in Wellington, FL. 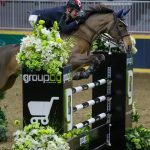 The week featured the $10,000 Equiline Open Stake on Tuesday with a win for Ronan McGuigan (IRL) and Capall Zidane, and the $25,000 Holiday II Grand Prix on Thursday with a win for Ian Millar (CAN) and Star Power. Hector Loyola of Wellington, FL, set the courses in the International Arena for the Holiday II competition. In Thursday’s $25,000 Holiday II Grand Prix, Loyola saw 29 entries with six clear rounds to advance to the jump-off. 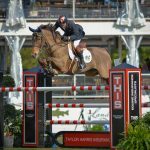 Three entries jumped double clear over the short course, where Canada’s ten-time Olympic veteran, Ian Millar, completed the fastest time of 49.84 seconds aboard Team Works’ Star Power to earn top honors for the second week in a row. 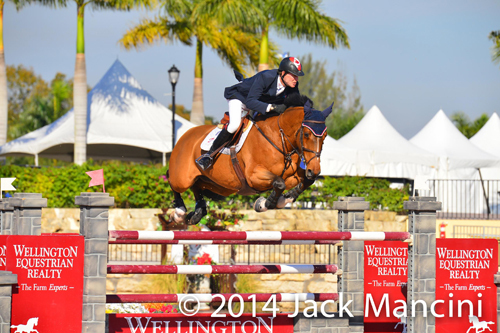 Millar also won the $25,000 Equiline Holiday I Grand Prix with Baranus last Sunday. Christine McCrea and Candy Tribble’s Win For Life finished second in 52.52 seconds, and Wilhelm Genn and Eduardo Leon’s Bugatti stopped the clock in 53.42 seconds to place third. 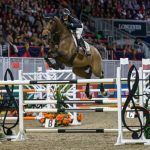 Earlier in the week, the $10,000 Equiline Open Stake was held on Tuesday with a win for Ronan McGuigan and his own Capall Zidane. 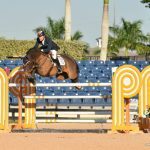 Eighteen entries showed in the class with five in the jump-off and four double clear rounds. McGuigan and Capall Zidane won in a time of 40.25 seconds. Wilton Porter and Sleepy P Ranch LLC’s Paloubet finished second in 41.40 seconds, and Gemma Paternoster and her own and Julia Harrison Lee’s Osiris placed third in 42.31 seconds. Ian Millar and Star Power geared up for their win later in the week with a fourth place finish in 44.31 seconds. The 2014 ESP Holiday Series continues immediately into the Holiday Festival III on December 19-21, 2014. Friday, December 19, will feature the $10,000 Equiline Open Stake and Sunday, December 21, will highlight the $25,000 Holiday III Grand Prix. 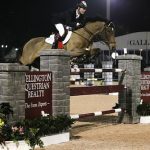 For more information, please visit www.equestriansport.com.